Richard Bauckham’s forthcoming book, Jesus and the Eyewitnesses, could well end up the most important publication on the historical Jesus to be written in the last fifty years. It is for that reasons that I am especially thrilled that Eerdmans will kindly send me a review copy, and Richard himself has agreed to a small interview with me about this volume (I believe his largest ever at over 500 pages), to be published on Chrisendom in due course. Though I will only be asking Richard a few questions, if any of you my readers have a burning suggestion as to what to put to him, then let me know – though keep it related to the subject of the book. ‘This fresh book argues that the four Gospels are closely based on eyewitness testimony of those who knew Jesus. Noted New Testament scholar Richard Bauckham challenges the prevailing assumption that the accounts of Jesus circulated as “anonymous community traditions”, instead asserting that they were transmitted in the name of the original eyewitness. To drive home this controversial point, Bauckham draws on internal literary evidence, study of personal names in the first century, and recent developments in the understanding of oral traditions. Jesus and the Eyewitnesses also taps into the rich resources of modern study of memory and cognitive psychology, refuting the conclusions of the form critics and call New Testament scholarship to make a clean break with this long-dominant tradition. Finally, Bauckham challenges readers to end the classic division between the “historical Jesus” and the “Christ of faith”, proposing the “Jesus of testimony” that is actually presented by Gospels. I am personally very excited about this book, but I suspect that had anyone other than Richard written this bold thesis, it probably would not have even been given a hearing. I could at least name the last of these illustrious theologians! The list clearly started off with the least important, ending with ..., well, you’ll see. 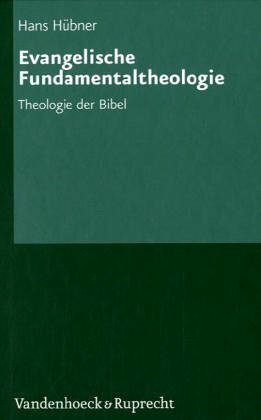 While many will have first heard of Hans Hübner through his three volume Biblische Theologie des Neuen Testaments (his section on Pauline Christology, for example, well demonstrate his precise depth and subtlety of thought), he has recently published a number of books including Wer ist der biblische Gott? (2004 – a gloriously priced book too, at only 24,90 euro. A grateful hat-tip once again to the excellent Neukirchener Verlagsgesellschaft), Goethes Faust und das Neue Testament (2003), and Nietzsche und das Neue Testament (2000). However, most important and exciting is another of his recent books, and one that I will be discussing in considerably more detail in the future. I mean, of course, his Evangelische Fundamentaltheologie (Jim West has already made enthusiastic mention of it here). Be sure to read Jim West’s excellent RBL review to be published in a month or so. In my absence over the last few days, an enormous number of fantastic posts have been published on numerous blogs, and I’ll be busy reading, rather than writing! Who do you think is the greatest living New Testament scholar, and why? Of course there are no right or wrong answers, but I’d be interested to hear the sort of names and reasons people suggest – for motives that will become clearer in a later series. But note: only those who are living qualify (and the ‘living in heaven’ loophole won’t impress me and shall be duly ignored). Any who suggest the name ‘Chris Tilling’ are, of course, a tad premature, but their brown-nosing shall be financially rewarded. But as it is, I’ll content myself with shouting TOUCH! at you. Right, enough blogging for now, I’m going to go and be sanctified somewhere else for a while. Come to think of it, I may well show up later with another post in my Hans Küng series, though I suppose I should write that thing for Ben in his series on ‘I love theologian X’ which I keep procrastinating! But, bretheren, saith it not: ‘You shall not wrong or oppress a resident alien’ (Exodus 22:21)? But do you know who wrote these words? I wish you all a great few days in my absence. And the first person to give the correct answer to the question above will be endowed with the usual flattery and praise. 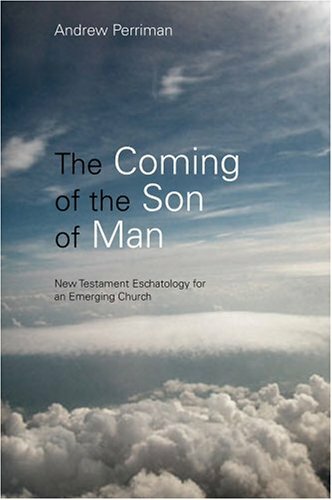 One of the most thought provoking and enjoyable books I’m reading at the moment is Andrew Perriman’s The Coming of the Son of Man. I’m not sure what I think of his Wrighesk eschatology as yet, and I will perhaps return to review the book properly when I’m done. His constant aim is to explode any notion of a systematic or universalised eschatology in Jesus’ eschatological language. Rather, he takes it to refer to the destruction of the second Temple, and the establishment of the new people of God – this being the coming of the Son of Man. Preterism, in other words. Perriman appeals to ‘a conscious act of reimagination’ (78) as necessary to uncover the true scriptural teaching over against what he admits are our natural readings of the text. You may well have defaulted into thinking this a general theological question about quotas for heaven. However, Perriman will insist: ‘it is question about Israel’ (89). His case has much to commend it, yet I withhold judgment until I’m finished. Right, time to finish off my glass of Port, and hit the hay. Review of Küng’s Der Anfang aller Dinge, section D, part 5. So, is it God who throws dice? Küng is of course clear: Certainly it would be unfair to postulate God, as Monod insists, from molecular indeterminacy, or other such facet of the evolutionary process. This would merely project a ‘God of the Gaps’. However, Monod’s rejection of ‘creation-mysticism’ is also hardly ground for the rejection of a Creator and Director (Lenker) of the world. Under the subheading ‘An existential alternative’, Küng presses his reasoning: Either a person says ‘no’ or ‘yes’ to an original foundation, and original goal (Urgrund, Urhalt, Urziel) of the evolutionary process. If a person says ‘no’, then he or she must also agree to the senselessness of the whole process, and the loneliness of humanity. If a person says ‘yes’, then this person may accept a sense in the whole process of evolution, even if it is not based on the process itself, but, trustingly presuppose it (cf. p. 163). Those saying ‘no’ must still answer, ‘Why is there something, and not nothing?’ - a question Küng himself addressed in part B (section 5) of the book. Indeed, there appears to be an unavoidable metaphysical element in human thinking, one that cannot simply be turned off. Metaphysics is not answered, proved or disproved through an acceptance of the physical and chemical nature of evolutionary development. And so the ball ricochets off the hard wall of evolutionary chance, and lands back on our court: Will we say a ‘yes’ or ‘no’? Review of Küng’s Der Anfang aller Dinge, section D, part 4. If the development of life, as Küng insists, is to be understood as a physical and chemical event without any divine ‘breaking of the rules’ at some stage, is everything simply pure chance? Is life, you, me, just an accident? Reiner Zufall? ‘As much as the individual form thanks its origin to chance, as much as the process of selection and evolution is unavoidable necessity. Not more! 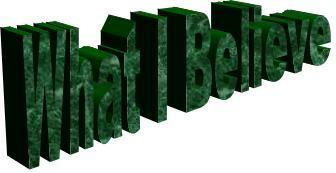 Thus, there is no secret inherent ‘life-characteristic’ [Vitaleigenschaft – i.e. animism] in material which should in the end determine the process of history! But also not less!’ (cf. p. 160). Küng, in quoting Eigen, aims to break down the inherent either/or, the either Zufall or theology in the rhetoric of those who affirm, as he does, evolution as explainable within the natural process of evolution. This is, however, but the first step in his argument. Küng wants to, rather than positing chance or necessity, understand the notions as both/and. Naturally with such language on the field, as a further movement Küng turns to investigate the contribution of Chaos theory. With this examination, Küng concludes more firmly: ‘Für die Erklärung der Evolution sind Zufall oder Notwendigkeit, Indetermination oder Determination, ja, Materialismus oder Idealismus faslche Alternativen’. The evolution or life is, therefore, not chance or necessity. It is not an assertion of animistic life force or atheism. Fascinatingly, what this means, if the logic is pursued, is that God indeed appears to throw dice – but within certain rules. The question then, however, becomes: But is it God who is throwing the dice? Küng's response to this queston shall be explored in the next post in this series. Mike Bird has written a nice piece on the author of our favourite blog in which it becomes clear that we need to thank Mike for encouraging Ben to start blogging in the first place. Great, and I look forward to it too. But try to be more succinct, Ben – no need to be Barthian in number of words. Three volumes ought to do it. My forthcoming three volume treatise on theology could serve as a useful model: Vol 1., The Worlds Greatest Christians, and How I Lead Them All to The Lord. Vol 2., A Seriously Large Number of Exceptional Reasons Why You Should Visit my Amazon Wish List and Liberally Spend Your Money on Me. Vol 3., Appendices to Vol 2. 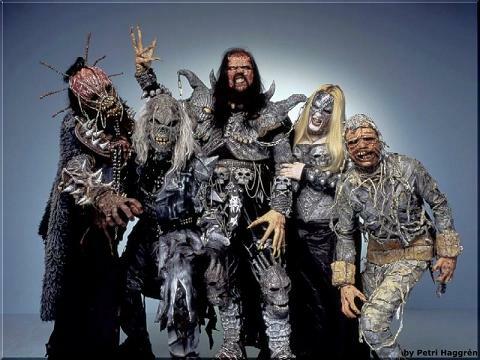 My hearty congratulations to Lordi of Finland who won, with the biggest number of points ever, the 2006 Eurovision Song contest. You can see the winning song video here. Patrik, no doubt, feels rather pleased with himself. This was the first time in years I sat down to watch it all – it is undeniably a great pile of cheese. But what really got on my nerves were the sickening names they kept giving songs. There were titles like: ‘Why angels cry’, ‘Without your love’, ‘Let me Cry’ etc. Worst of all, in this respect, was Ireland’s, ‘Every Song is a Cry For Love’. Why not names like: ‘I’m gonna eat your face and spit out your brains’, or, ‘Teabags are a great invention’, or whatever. Anything, anthying at all would have been better than ‘Let me Cry’! That made me cry. I guess this is what made Lordi’s performance stick out so much. Instead of the usual beautiful bikini clad women prancing around (I didn’t want to watch that stuff you must realise, it was responsible cultural analysis), you had a stage full of demonic type aliens and mummies! Music was not great. Costumes were unforgettable! The English press thought maybe this Lordi chap was a devil worshipper. “Surely Lordi and Christianity don’t go together? Sure they do. I am a member of a church”, he answered, “and our drummer Kita actually wrote and played some church music ... I don’t want to burn in hell, I want to go to heaven.”! He went on, ‘I regularly read Karl Barth, and I have a soft spot for studying the Puritan and revivalist movements of the 19th century’. I’ve just wound up my exegesis of 1 Cor 7:32-35, and, because I’ve been getting myself into a muddle with it for far too long, I find it hard to step back and know if my argument makes any sense. It could be a big pile of pants – and that isn’t a nice suspicion to have. So, if you fancy reading a .pdf of that section of my exegesis and telling me if it makes sense, or if I’ve simply used far too many words to say what could have been asserted in fewer, or if my exegesis is a steaming pile of raving nonsense, then click here to download. (P.S. By all means point out typos, but it has not been properly proof-read so their may be many – it’s the big argument I’m concerned about. And if the Greek font doesn’t display, let me know. Plus, if you feel, in order to make any comments, you need to know my bigger argument to frame this individual exegetical struggle, then drop me an e- mail). Creation is not anthropocentric, but theocentric. Right? Now that makes me feel really sobered up. Perhaps I’m just getting my theological knickers in a twist. Still, if they're as good looking as the women in X-Men, or that one from Terminator 3 ... While some are running to the hills, I'll be staying behind saying ‘'ello ladies’! I’ve been working on my exegesis of 1 Cor 7:32-35 for far too long now and my sanity chip is starting to melt. Now, for those of you who know your Greek, ask yourself what syntactical label you would apply to eu;schmon and euvpa,redron. OK. Decided? Now ask yourself the same about avperispa,stwj. So far so good right? The first two are adjectives, and the last is an adverb. Well, the only way to make an understandable English translation is to be creative! Actually, I was rather relieved to discover today that even Greek speakers had difficulty following Paul on this one (both P15 and Chrysostom made changes), so when Barrett claimed of this verse: ‘close translation is scarcely possible’, I have to vigorously agree. My translation, and I really think it is better: ‘but with a view to promoting that which is appropriate and facilitates undivided devotion to the Lord’. I think the ‘and’ is very important, and makes sense of the general flow of the argument. To have a quick break from Küng and evolution and the like, I wanted to link to a series of posts on universalism by my dear friend, Simon. His last was particularly thought provoking, but see also here (for a light-hearted one), here (I notice the influence of Keith Ward on this one) and here. Now, I ought to be clear about this: Simon looks like his face was dragged through gravel as a baby. Repeatedly. But thankfully (for him) looks aren’t everything; it’s what is on the inside that counts. And his inside has some good things to say about this issue. Many of us have been considering this question for a long time now, and though I’m not at the end of my ponderings, I can say I’m no universalist. However, there is a ‘but’ or ‘however’ in my thinking now, and I’m not sure I can even formulate how that is so yet. I realise that it’s getting ridiculously long, but I thought it time to update my blog roll. I may have missed one or two out, but it was getting confusing. Review of Küng’s Der Anfang aller Dinge, section D, part 3. That's all the alien talk finished, I'm afraid. Not to worry, as now Küng turns to address the issue many of us purchased the book for, the debate concerning Intelligent Design (ID)*. In this first post, I'll describe why he rejects ID, and in the following posts discuss how Küng attempts to affirm God as creator and 'director' of the evolutionary process in the light of this denial. 2. How did life come into being? Coming back to earth, Küng notes and elaborates on the astonishing success biology has had in the last decades in showing that all terrestrial life is related, having the same molecular structures, same dependency on genes, and same four fundamental building blocks. From this, he lays the groundwork for arguing that the evolutionary theory of Darwin can be seen as ‘physically grounded and experimentally checked’ (p. 154-55). We really have to do with good science when it comes to evolution, and not merely one among many competing and almost as good options. ‘Sicher ist: Daß es bei diesen höchst komplexen Prozessen eines besonderen Eingriffs des Schöpfergottes bedurft hätte, ist nach den neuesten biochemischen Ergebnissen nicht einzusehen’. Evolved life is, in other words, ‘trotz aller noch ungeklärter Fragen ein physikalisch-chemisch verständliches Geschehen’ (p. 158). Thus, and without even mentioning it, Küng with all of this sets his hand firmly against those in the ID camp. How, then, does one conceive of God as creator of life if all appeared just by the random complexities of chemical chance? How can a Christian affirm God as creator of the earth and all that is on it, if all can be explained with recourse to natural processes? I would like to discuss these most fascinating issues in the next few posts. Review of Küng’s Der Anfang aller Dinge, section D, part 2. This post is not a direct continuation of my review of the book, as much as a reflection on the previous. I thought it was necessary, for some of us who love our Star Trek, Stargate, Star Seife-Sud Mädchen, Babylon 5, X-Files etc., may be somewhat disappointed by Küng’s pessimism on the question of extraterrestrial life. This is true, of course, especially for those who have gone to the trouble of learning Klingon – though I must say, the words ‘shoot’, ‘bullet’, ‘quickly’, ‘head’, ‘put’, ‘out’ and ‘misery’ spring to mind when I think of such folk. Is it not possible that the conditions Küng prescribes for life (cf. p. 152-53) are simply too inflexible? And besides, what about the vast areas of unobserved universe which maybe could support life as we define it? Keith Ward, formerly Regius Prof. of Divinity at the Uni of Oxford, recently asked: ‘Who knows what forms the divine Word may take in other star-systems and created universes?’. He answers (and I’m not sure what I think of this yet): ‘It will not be the human Jesus who is at the centre of cosmic salvation. It will be the limitless divine Word. For us humans, Jesus is that Word. He is the Word in human form. But the forms of the Word may be many, and unimaginable by us’ (What the Bible Really Teaches, London, SPCK, 2004), p. 60-61. It is the word ‘unimaginable’ in this sentence I want to stress. Perhaps unimaginable life forms have developed in places that look to us as hostile to life, at least life as we can define it. It is perhaps in anticipation of such objections that Küng first, in this chapter, attempted to define ‘life’ (reproduction, mutation and metabolism). Nevertheless, I suggest that the existence of alien life indeed helps to explain many a metaphysical dilemma. In fact, I would even be as bold as to deduct that in a solar system not too far away, there probably exist aliens of phenomenal intelligence and hyper-light speed travel, who only have one leg, can’t knit, have a tendency to steel, and suffer from some form of diarrhoea. ‘Why?’ you ask. Well, how else can one explain the worldwide phenomena of the mysteriously missing single sock, and the sometimes all too empty loo roll next to the toilet? The little bastards beam in next to our washing machines, lurk around until a pile of socks is left around, nick one, then hop off to the bog to wipe their little bottoms with our loo roll, before speeding back to the mother ship. As my previous and following posts ponder the question of the existence of alien life, I thought I’d do a poll on this exact question. On the sidebar to the right you will find 5 options. Have a quick read and cast your vote, but try not to click the last as that is just being a wuss. Review of Küng’s Der Anfang aller Dinge, section D, part 1. Section D. Life in the cosmos? In section D and E, Küng turns to address that hotly debated question: If the shape of the cosmos and life itself can be explained with the laws of natural cause and effect, is there room for a special intervention of God in this process? In this section, Küng specifically asks: If God did intervene, did it happen when life first appeared on earth (the question of biogenesis)? In section E, he asks whether any special ‘intervention’ happened with the appearance of Homo sapiens. 1. Since when has there been life? Directly asked: ‘Is there alien life’? Though this is somewhat of a digression from the subheading of the section, Küng spends a number of pages detailing the initially positive estimates for extraterrestrial life, but notes that the search for alien life produced by such optimism returned exactly no concrete evidence. This leads him to suggests that perhaps we are in fact all alone in the universe. Indeed, observation of the known universe hasn’t, as yet, lent itself to the notion that there are life-friendly places for life to evolve; the universe outside of our solar system appears rather unsuited to support any reproduction, mutation or metabolism. Nevertheless, he is clear that ‘One can, of course, certainly not forever excluded the notion of extraterrestrial life’ (cf. p. 153), and theology has nothing to fear were it found - even if E.T. were to finally be discovered ‘moonying’ us from planet Zob. OK, so I couldn’t resist it. I went ahead and purchased Jüngel’s 4 volume series of sermons from the second hand book shop after all. And it’s great stuff! Well, those who visit this blog will know that this is something I’ve often touched upon. Recently, Cynthia Nielsen posted Alvin Plantinga’s amusing answer (HL: Ben Myer’s Faith and Theololgy). I will use these next few posts to set me up for the proposal of a few propositions with regard the creation/intelligent design/evolution debate. Hopefully there will be something for everyone to disagree with. In my crazed book buying spree mentioned in the last post, I also found a dirt cheap copy of Ernst Käsemann’s Paulinische Perspektiven (Tübingen: Mohr, 1969) – one, being a Paul man, I was really pleased about. I’ve already gone over his ‘Zur paulinischen Anthropologie’ (chapter one) for my exegesis of a couple of passages in 1 Cor 6. This is the chapter where Käsemann developed his famous argument against Bultmann’s understanding of soma (body). Bultmann thought soma represented the human ‘sofern er sich selbst als Objekt seines Verhaltens gegenständlich ist, sofern er sich von selbst distanzieren und unter die Herrschaft fremder Mächte geraten kann’ (Theology of NT, 1.200, 203). Käsemann counters in claiming that ‘Leiblichkeit sei das Wesen des Menschen in seiner Notwendigkeit, am Kreatürlichen zu partizipieren, und in seiner Fähigkeit zur Kommunikation im weitesten Sinne, nämlich seiner Bezogenheit auf eine ihm jeweils vorgegebene Welt’. This may all sound like a small exegetical aside, a petty squable, but it needs to be remembered that Bultmann’s entire programme was heavily grounded in an anthropological study of Paul (see, e.g., the contents page of his Theology of the NT), because he insisted that God or the world or whatever couldn’t be spoken of as 'out there' without also saying something at the same time about humans – his famous line: ‘Jeder Satz über Gott ist zugleich ein Satz über den Menschen und umgekehrt’. Käsemann, as at least modern exegetes like to think, resoundingly won this argument! He writes with such energy that it is easy to get carried along by his rhetoric and not pay attention to his actual arguments! I bet he was storming preacher. Anyway, I think I'll try to finish off my review/summary of Küng's Der Anfang aller Dinge this weekend, and by doing so introduce my next small series on the questions of intelligent design, creation and evolution. I'm off to read a bit of Moltmann. I had a dream about visiting a book shop last night (it’s not the first time), and in my dream I found a three volume set containing all of Jüngel’s works. Excited, I turned to my partner, Garry Kasparov, but to my disappointment he didn’t encourage me to buy them as only three volumes were there – maybe there were more in the complete set. ... the superb four volume set of Jüngel’s sermons, all half price! However, each book was still €9, and I knew that the old “I’ve been having prophetic dreams about buying these, darling” line wouldn’t be the easiest to pull off, so I left them on the shelf. (Had I purchased them, my preferred dream interpretation was something like: “Kasparov was Beelzebub stopping me in my heavenly mission to buy the Jüngel sermon books, darling”). Speaking of Jüngel, you may want to see this. 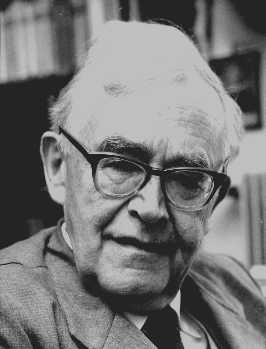 On the 10th May 1886, exactly 120 years ago today, Karl Barth was born in Basel, Switzerland. For some of us, Barth's works - at least those we have read! - are a delightful blend of brilliance and profound devotion. To pick up one of his books is to be challenged, provoked to deep thought, and drawn to the knees in adoration of the glorious Triune God he could write about with such passion. Happy Birthday, Teacher! Implicit Epistemology in the Letters of Paul: Story, Experience and the Spirit, by Scott, Ian W (Wissenschaftliche Untersuchungen zum Neuen Testament, 2. Reihe, 2006). Scott’s treatment of Paul’s epistemology fills a lacuna in NT Pauline research, and I think succeeds in taking the exegete a step deeper into the texts themselves. Though I haven’t made my way through the whole thing, from what I’ve read I can affirm that it is a really fascinating read – and at times I felt like he was presenting a Paul that came across sounding like a good Barthian! Tonight, I want to say a hearty CONGRATULATIONS to my dear friend, Simon and his lovely wife Miriam. 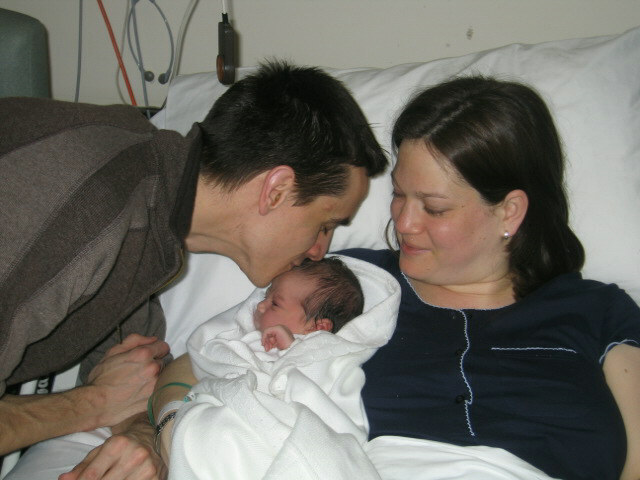 We gladly welcome Isobel Emily to the world! I could have told you that months ago, Si. A while ago I mentioned an Aussie theologian by the name of Shane Clifton who stated he was planning on starting a weblog ‘engaging in issues confronting Pentecostals’. Having been involved in one degree or another with Pentecostals for years, I find myself thrilled that there is some serious and intelligent theological engagement with and from within this massively important Christian tradition. And I’m glad to say that today he informed me that the blog is up and running – and he is moderating it together with some of his colleagues in the faculty of Southern Cross College, Sydney. The first major post is a real good one on Pentecostals and ecology which shares a burden of my heart concerning the importance of ecological questions for Christians who have been influenced by literalist apocalypticism. Among other things he speaks of the ‘inadequate and undeveloped theology of creation, borrowed from fundamentalist Christian theologies, that have led to a narrow Pentecostal proclamation of the gospel and restricted the development of an ecological ethos’. Yes, indeed. In the next post I want to add a personal note on the sort of things Shane is addressing. Anyway, why not go over and check out this new blog - and as many of the very best biblioblogs are run by Australians, this faculty-blog awaits my highest expectations! Ben Myers has written a terrific and enjoyable Ode to the Church Dogmatics on his blog to celebrate the occasions of Jim West’s me-directed generosity! As mentioned in the previous post, Ben's enthusiasm for Barth is contagious! Those of you who have read the Church Dogmatics in the original German will know that Barth’s sentences can be a little tricky, long and twisted, and take some getting used to. As preparation I decided to read his Dogmatik im Grundriss with an English translation to hand to help me get used to his vocabulary and style. However, as useful as that was, the Kirchliche Dogmatik is an altogether different level of complexity. Not as difficult as Balthasar’s Herlichkeit, however. Gladly. Karl Barth, by John Webster. This is the most enjoyable of the lot. Highly readable, sympathetic, suitable for absolute beginners, well structured and to the point. This is a volume I’ll be turning to again as I progress through the volumes. The Modern Theologians, ed. by Ford has a great chapter on Barth by Jenson. Apart from the fact that this is a book that ought to be in every theologians library’ (be careful you get the correct edition however), Jensons’ chapter on Barth is intelligent, inspiring and punchy. As I mentioned above, Dogmatik im Grundriss is a real treasure, and accompanied me in many a time of quite reflection, worship and prayer. In places, I was moved most deeply by the love of God. Also a lot of fun has been Karl Barth: His Life from Letters and Autobiographical Texts. I have spent many an enjoyable hour with this one; highly readable. I’m glad that I found a cheap (German original) copy second hand shortly after Jim sent the KD. There are, of course, plenty of others that could be recommended, but these are the most valuable in my limited experience, thus including two shortish overviews, an original Barth text, and a biography. Ben also strongly recommended Eberhard Busch: The Great Passion: An Introduction to KB’s Theology, but I haven’t gotten that far through his reading list to comment on that one yet! A huge thanks to Jim West! Die Kirchliche Dogmatik have arrived! One day while engaging in our almost daily chatter via Instant Messenger, I was sharing with my good friend Jim West the reasons why I had to postpone my purchase of Barth’s Church Dogmatics. However much I wanted to read them, my dreams were running against financial reality (read ‘wife’ and ‘conscience’ – sometimes synonyms when it comes to books) with a thud. You may remember some of my demented posting along this line in January. Now, some of us already know that Jim is a generous guy as he has posted to Ben Myers, of Faith and Theology, among other things, his entire collection of Jüngel books. However, what happened next caught us all of guard. 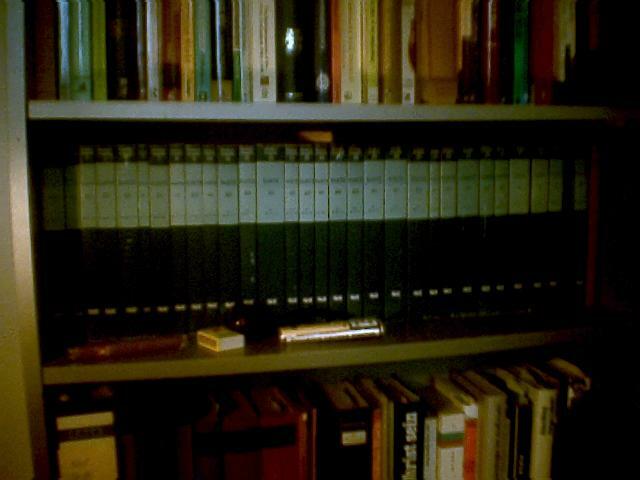 The very next day Jim had posted his entire set of Barth’s Kirchliche Dogmatik (study edition) to me in the post! Needles to say, I was stunned. Utterly. And gratefully. Feeling like birthday, Christmas, Easter, breakfast, dinner and lunch were all happening at once, I was getting very excited. And with some difficulty I have resisted spilling the beans for weeks now – I thought I’d wait till they arrived first. And arrived they have, in absolutely wonderful condition, and here they are, all neatly on my shelf awaiting my loving attention! But both Jim and I have been wringing our hands at the incompetence of the various postal services, as they were sent, get this, on the 7th of February! Yep, almost a quarter of a year before they showed up! Gladly Jim managed to track the package down and received an explanation as to why they took so long, but all of my dashing to the window when I ‘heard’ a post van sized automobile pull up was in vain – they showed up, of course, while I was in England! While waiting, I e-mailed my friend Ben Myers for advice as to what to read in preparation, and for any suggestions as to the order to read them when they arrived. I thought this would be a good idea, not only because he is a Barth expert, but because he is the one, through his blog, who got me interested in Barth in the first place. Actually, ‘interested’ doesn’t say it really. In response he sent me a wonderfully helpful reading list which, as a result, has consumed many an enjoyable hour since February. So my thanks go out to Ben for that (I’m looking forward to reading your ‘Ode’ later!). However, my real gratitude is, of course, reserved for Jim. Thanks so much mate! I know you aren’t a hugger, so just be thankful you aren’t anywhere near me at the moment. My English reserve wouldn’t be any insurance for you. I suggest any who read this post go out and read something of Zwingli out of respect for the man who sent Barth’s entire Kirchliche Dogmatik to me here in Germany!